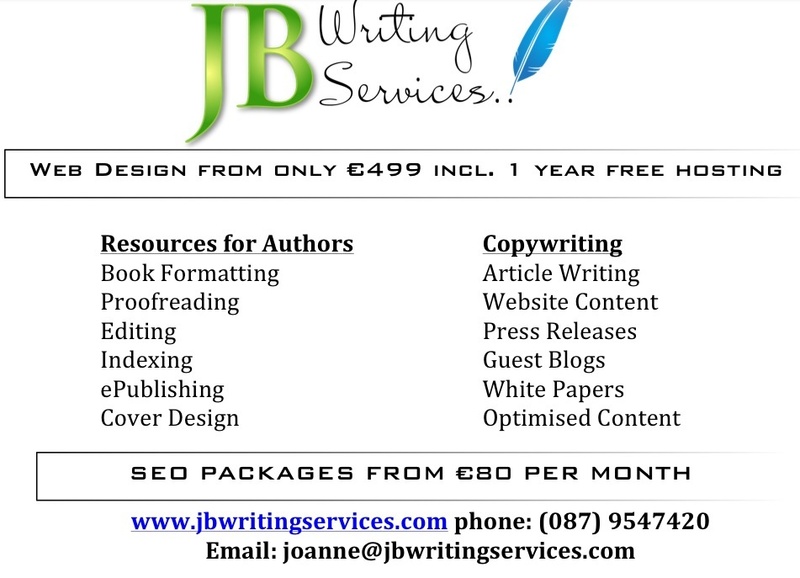 Here at JB Writing Services I research, write and optimise website content for business blogs and company websites across Ireland and the UK. The importance of well optimised website content should not be underestimated and can add significant benefits to both your brand and your online presence. Why is content optimisation so important? In today’s online world, competition is fierce and it’s a constant battle to keep your website ranking highly with the search engines. One of the most recognised methods for ethical (white hat) SEO is to constantly update or add to your website with freshly written website content in the form of blog posts, articles or new product pages. Google recognises this behaviour and rewards it handsomely by showing your website above the competition when the optimisation has been completed correctly. Before undertaking any web content project I spend some time consulting with the client about their target market and the keywords they would like to target. Sometimes the client is unsure of the keywords needed, and that is absolutely fine, I can offer a keyword research service that can make this project flow smoothly for you. I may also, upon request of the client, undertake an SEO audit of your competitors websites, this allows us to put in place a strategy for future use and assists when deciding on the best keywords for your website content. How does content optimisation work? A short question with a very long answer! Basically, when a web user goes to Google for example and they are looking for something like a restaurant in Cork or a hotel in Dublin they will most likely type in a search query something like this ‘Restaurant in Cork’ or ‘Hotel in Dublin’. These would be considered keywords. Now, over the years search terms have developed to become more specific and we refer to these as long tail keywords ‘ Best vegetarian restaurant in Cork’ or ‘ Cheapest city centre hotel in Dublin’. As you can see, the latter long tail keywords are more specific in their requests and therefore Google needs to search a bit harder to serve up the correct answers. By incorporating both short keywords and long tail keywords in your website content you are letting Google know that you have the information it is looking for, thus enhancing your chances of appearing higher in the search results. A word of warning though! Google frowns massively on what we call ‘keyword stuffing’ so a certain ratio of text to keywords should be adhered to at all times to ensure Google doesn’t recognise your website or it’s content as spam. JB Writing Services uses optimised H1’s, H2’s, H3’s, optimised meta data such as page description, title tags, alt tags and page titles to further compliment the written content on your site This gives you the best chance of getting recognised by Google for your chosen keywords. Optimised website content is the ONLY way to practice SEO without living in fear of being penalised by the search engines and possibly having your site removed from the results page altogether. Dodgy backlinks and link building should be discouraged as these more often than not will hurt your site in the long run. Natural backlinks will happen in conjunction with well-written content as users start to share on social media and on their own blog pages. 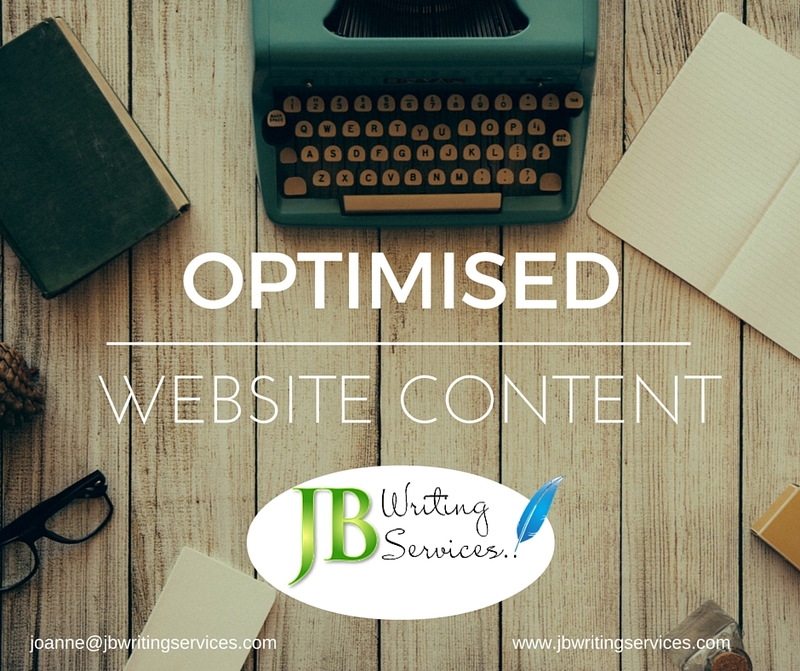 For further information about optimised website content or blog posts, please feel free to get in touch with Joanne by emailing joanne@jbwritingservices.com or fill out the contact form on this website. 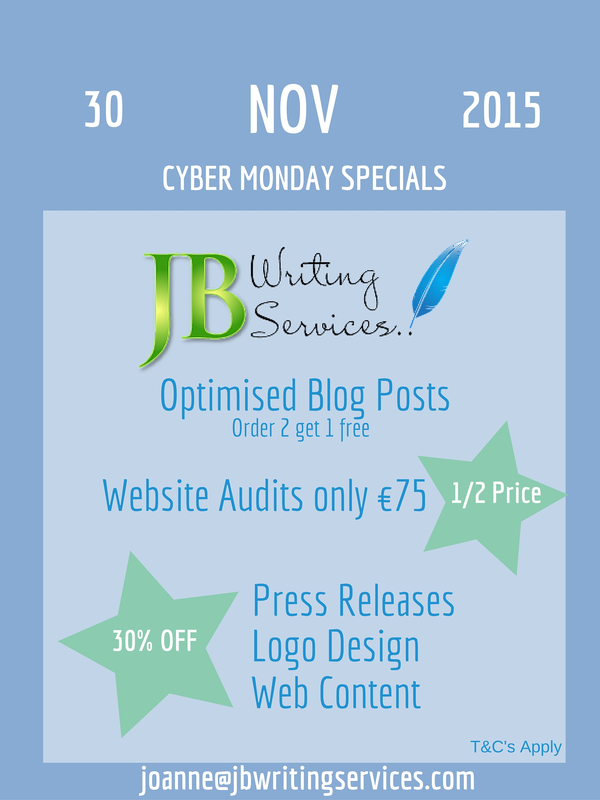 Call Joanne on 087 9547420 or email joanne@jbwritingservices.com to avail of these offers. Why every website needs a blog! So you’ve got a fancy website, a great range of products or services & a real drive to succeed….but, your website just isn’t getting any traffic! Having a website with no traffic is akin to a shop in the middle of nowhere, unless people can find you and sample your wares, you may as well just shut up shop! One of the best & most natural ways to drive traffic to your website is to regularly update your blog. An active blog on your site really is the key to all your SEO efforts! Here at JB Writing Services I write blog pieces that truly capture the nature of your business. Not only do I write well, I also understand ethical SEO techniques. By ordering an article for your blog from JB Writing Services, you are ensuring that your site is being recognised by the relevant search engines and therefore by those searching for your products or services. Every blog piece I provide is 100% unique and written just for you, each article is optimised with your chosen keywords and I work hand in hand with any online marketing strategies you may already have in place. 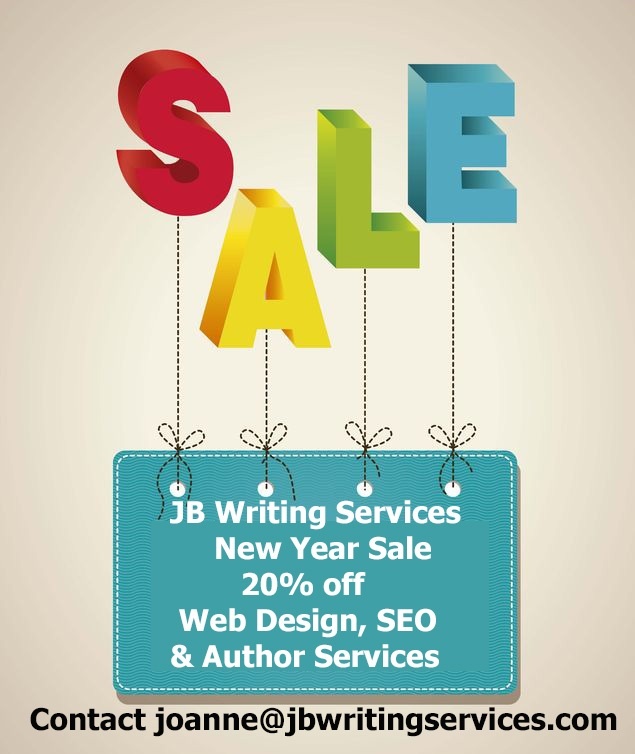 For a blog writer that offers affordable rates and impeccable copy look no further than JB Writing Services!